Game Dev Lean Coffee! Finally the community is here! Startups and development are our core topics. Adding marketing&design sometimes. Lean Coffee: new location and new topics! Lean Coffee by Kanbanchi. Third cup. 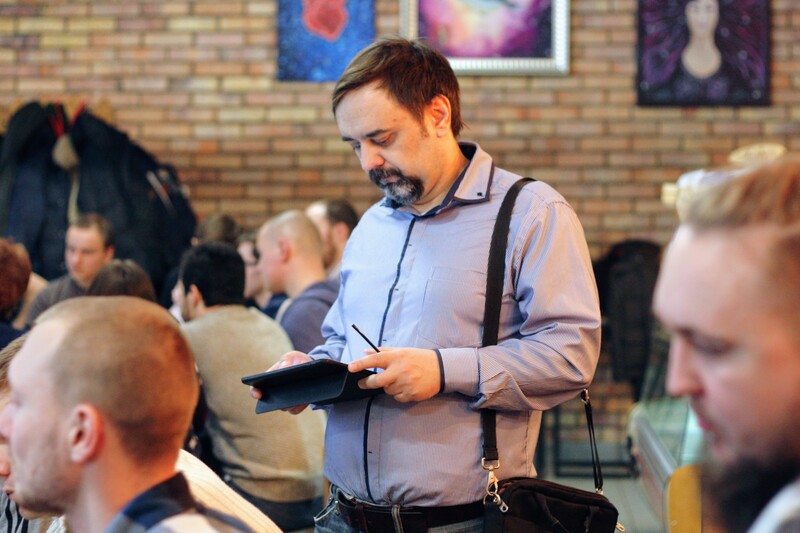 Many people waited for this Lean Coffee that took place February, 18. Some of them were waiting for 3 years! Can you imagine!?? Three! Three years. Sounds like a lot? 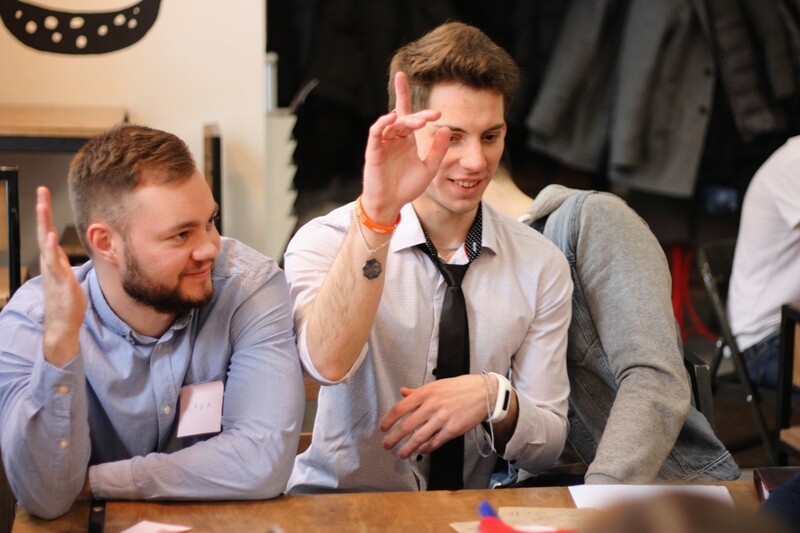 There’s no such thing as Game Dev community in Saratov. There are some individuals and entrepreneurs that are creating games, but not so many well-known. Most of people driven by this idea are working as developers in big organisations, creating games as their hobbies. 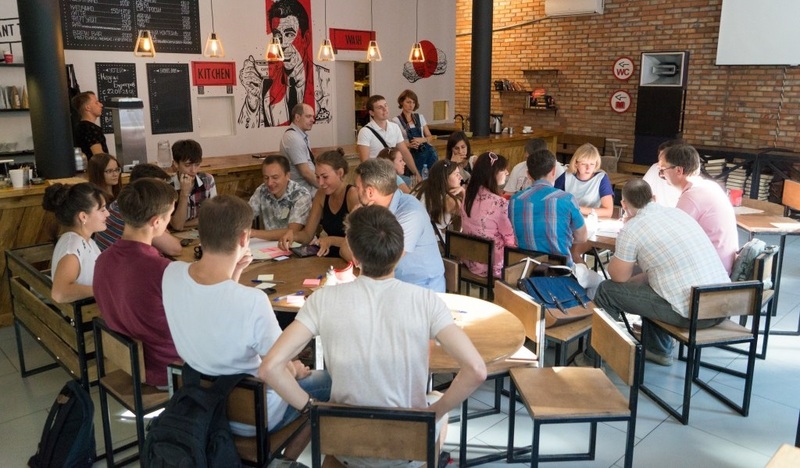 So this was the most crowded Lean Coffee meeting. 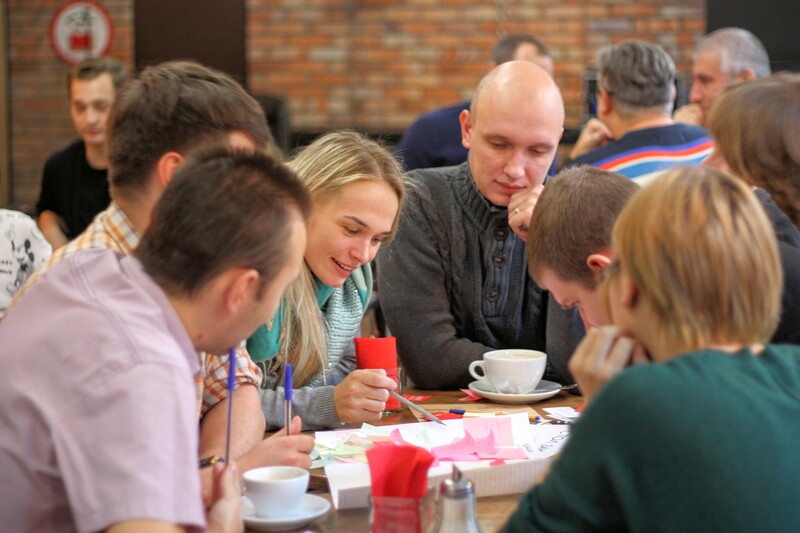 We aren’t even sure that we are allowe to call it Lean Coffee))))) Hope it will result in something more than this. Posted on February 20, 2017 Leave a comment on Game Dev Lean Coffee! Finally the community is here! Seems like our city is becoming more and more involved. Since the start many people joined, many topics added. Posted on December 10, 2016 February 20, 2017 Leave a comment on Startups and development are our core topics. Adding marketing&design sometimes. These three summer month were so hectic and full of all kinds of activities, that we totally forgot about our Lean Coffee updates. But never forgot about Lean Coffee itself! 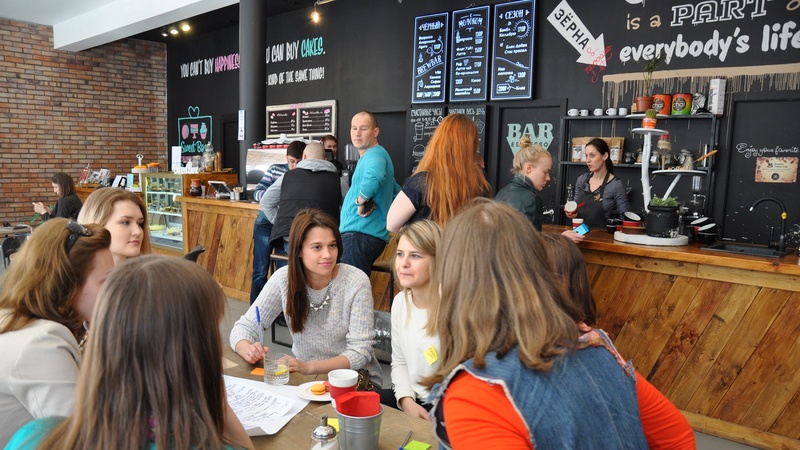 Recently we have been invited to one of the famous radio stations to tell about Lean Coffee in Saratov. You may listen, of course, but it’s in Russian (lucky you who know the language). We explained the concept of agenda-less meetings, described the way we moderate conversation and tried to inspire other people to start their own Lean Coffee to spread the idea to some other areas that aren’t of our competence. 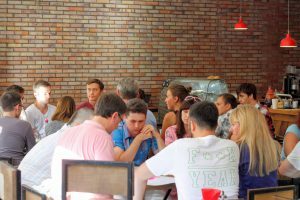 Our team is mostly focused on development, kanban (because of our app), digital marketing and travel, but there are so many other areas of life and business, where people can benefit from gathering for Lean Coffee. We will be glad if it spreads even more! Posted on September 1, 2016 Leave a comment on And we’re moving on! 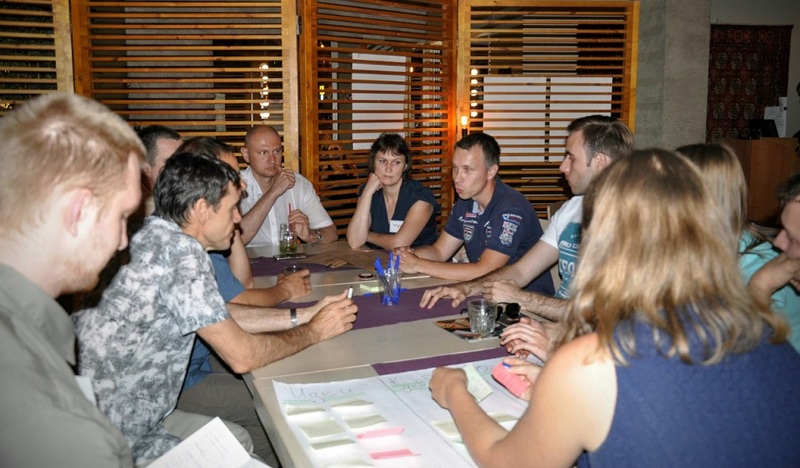 Continue reading Lean Coffee: new location and new topics! 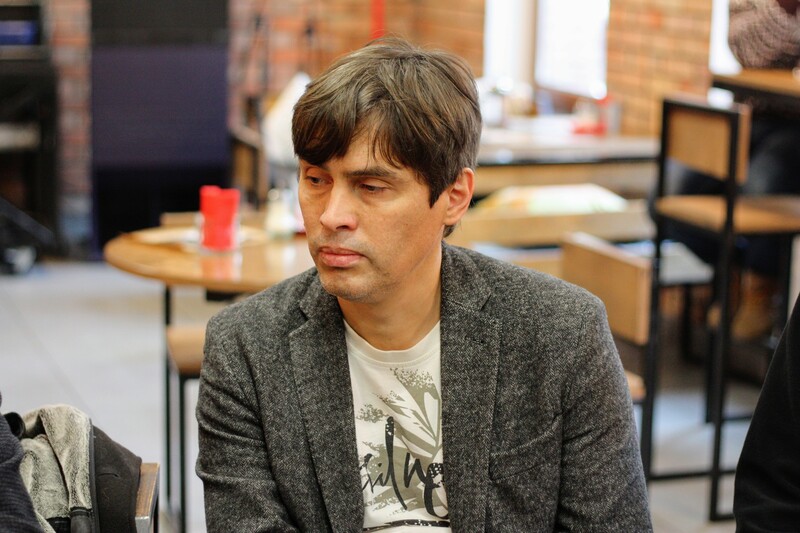 Posted on April 26, 2016 Leave a comment on Lean Coffee: new location and new topics! Our team is so glad that Lean Coffee is becoming popular in Russia. And what makes us even more glad that it is becoming popular in our city. 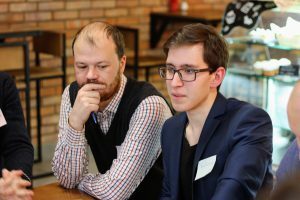 When we started we were thinking only within our IT and startups community, but it seems that Lean Coffee poured out of it by now. Continue reading Lean Coffee by Kanbanchi. Third cup. Posted on March 21, 2016 March 21, 2016 Leave a comment on Lean Coffee by Kanbanchi. Third cup. Lean Coffee by Kanbanchi. Second cup. We had the second cup of Lean Coffee by Kanbanchi on January 23, 2016. Since Saratov enthusiasts were already familiar with the format, which Kanbanchi team introduced in November, we decided to move on getting closer to the original concept of Lean Coffee introduced by Jim Benson and Jeremy Lightsmith. All over the world Lean Coffee events are not formal and held in cafes without thorough organization – meetings take place in the same place at the same time, participants simply get updated about the next event. So, small number of things are required – a source of information, post-it notes and at least one person familiar with Lean Coffee format to educate others. Simplicity and flexibility are what we love about Lean Coffee. 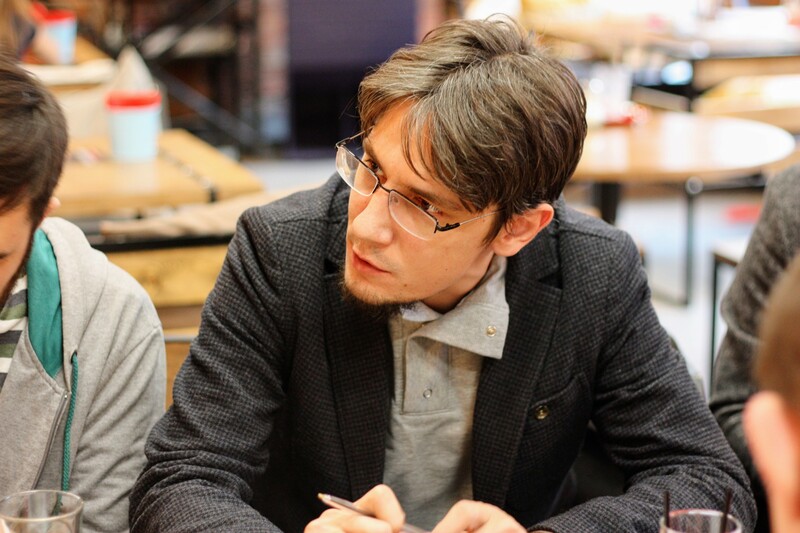 Continue reading Lean Coffee by Kanbanchi. Second cup. 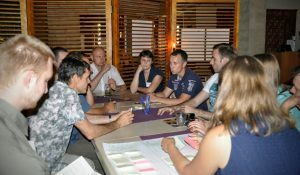 Posted on January 24, 2016 March 21, 2016 Leave a comment on Lean Coffee by Kanbanchi. Second cup. Lean Coffee by Kanbanchi. First cup. 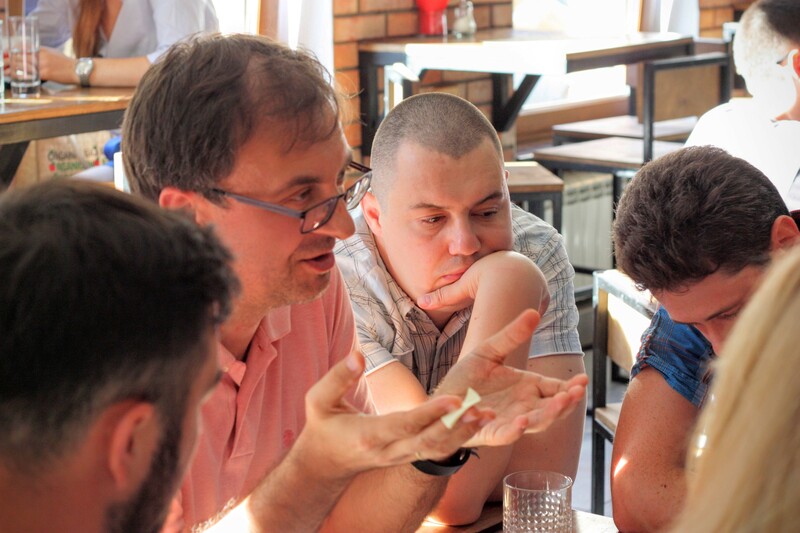 Lean Management, Lean Startups, Lean Production…Lean Coffee. 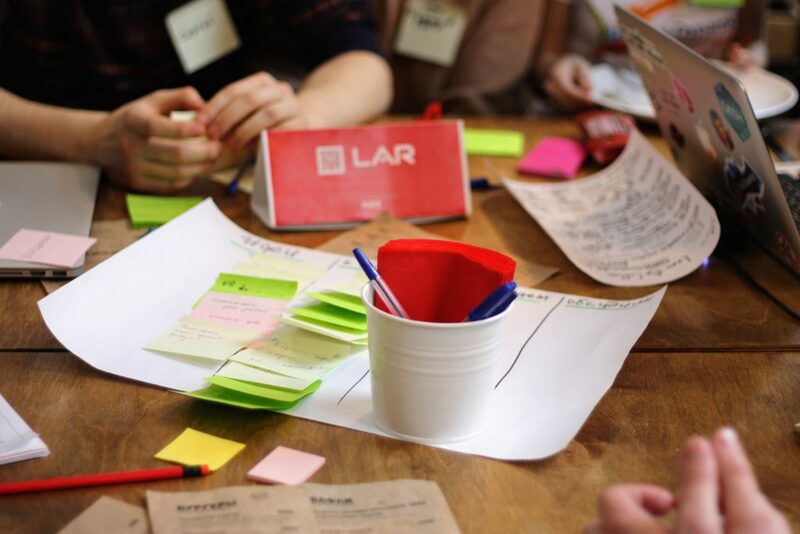 Do you have any idea what Lean Coffee stands for? Probably yes. However, to many Russians it doesn’t ring a bell. 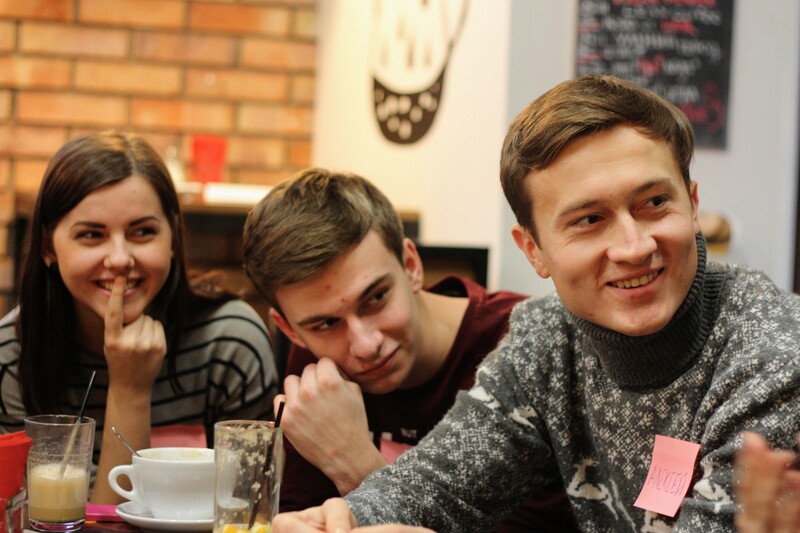 That’s why we decided to enlighten the people and on November 22, 2015 conducted the first Lean Coffee in Saratov, Russia. Continue reading Lean Coffee by Kanbanchi. First cup. Posted on November 26, 2015 March 21, 2016 Leave a comment on Lean Coffee by Kanbanchi. First cup.